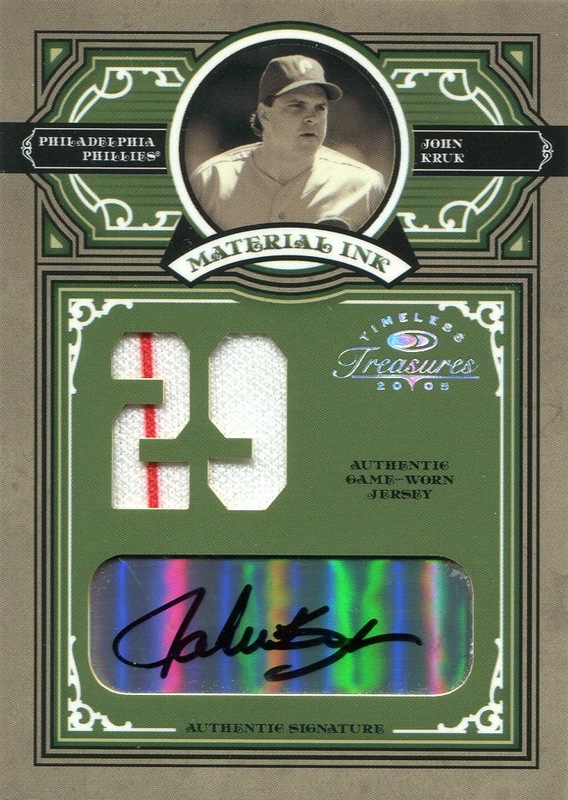 Additional Information/14,000 Phillies Commentary: Distributed in Packs of 2005 Donruss Timeless Treasures. The large number of parallels combined with inconsistent print runs for each of the parallels make it difficult to concisely list the Material Ink inserts and all their print runs. As a result, the checklist for each of the various parallels is listed individually below, with the print run for each player listed in parenthesis after his name. 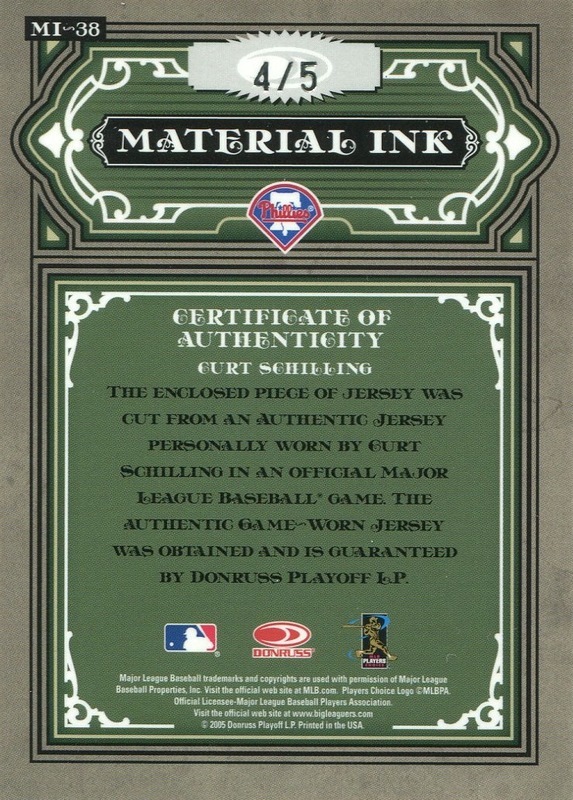 The serial number is printed on the back of all the cards, and the front of all the cards bear a swatch of memorabilia and a sticker signed by the player. 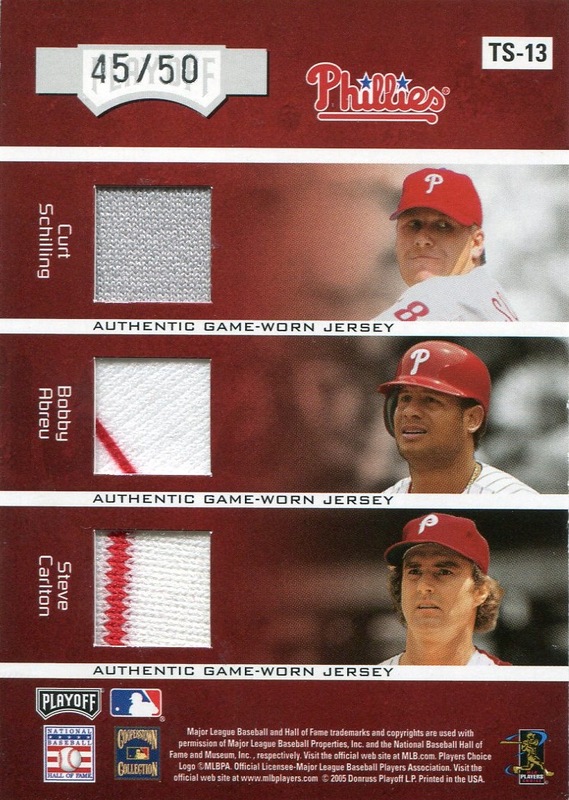 This was an issue with many other insert sets produced by Donruss in 2005. I understand the parallels represented an attempt to breathe scarcity into particular product, thus increasing demand, but I wonder just how successful that effort really is. 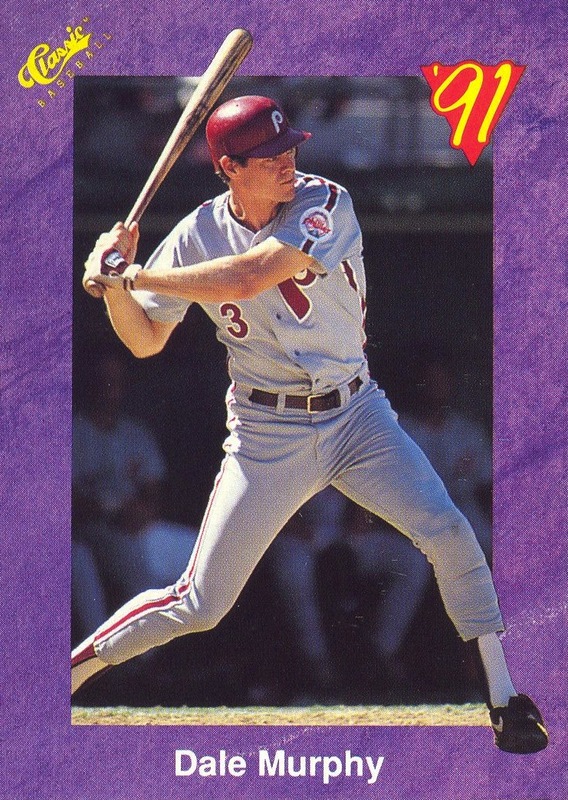 Furthermore, it needs to be stated that the combined print runs for Murphy’s card, which is the most “plentiful” of the three Phillies in the set is just 88. There really wasn’t a need to use variations to increase the perception of scarcity — there were damn few of the cards to begin with. For myself, I was happy with just one of version of each Phillie to appear in the set, and I can’t help but think that this was the case for most team/individual player collectors. In fact, I would actually love to know how other such collectors handle sets such as this one. 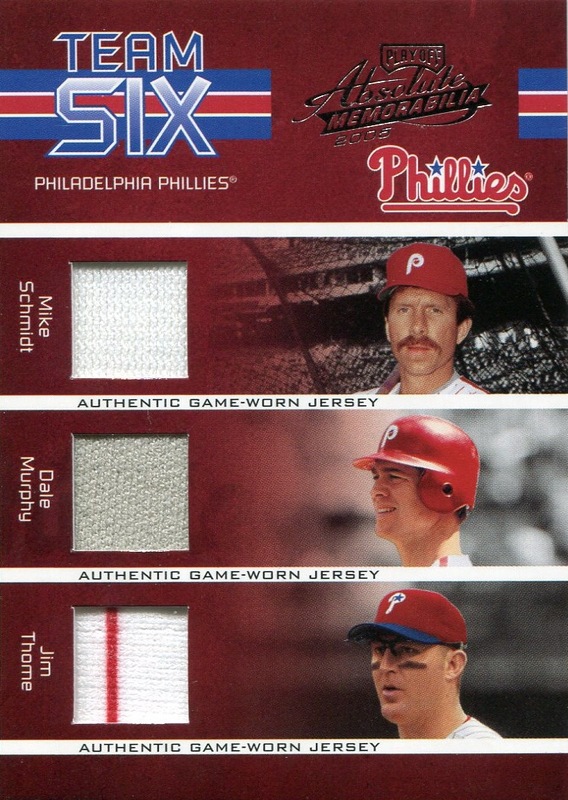 One of the things I found so amusing about this particular set was the inclusion of Dale Murphy as a Phillie. 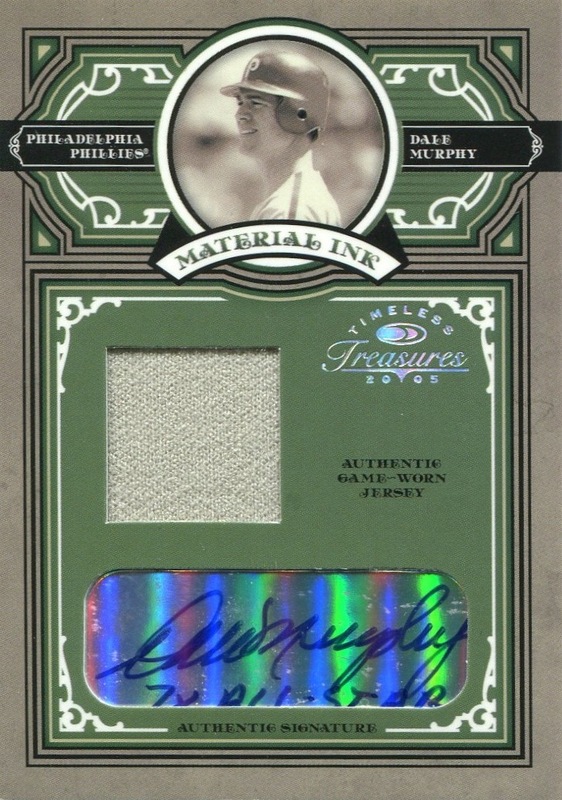 Since his retirement, in fact, the manufacturers (in particular, Donruss) have produced a fairly substantial number of Murphy autograph and memorabilia cards depicting him with the Phillies — certainly more so than the proportion of his career with the club seems to dictate. (Or his actual performance while with the club, for that matter.) 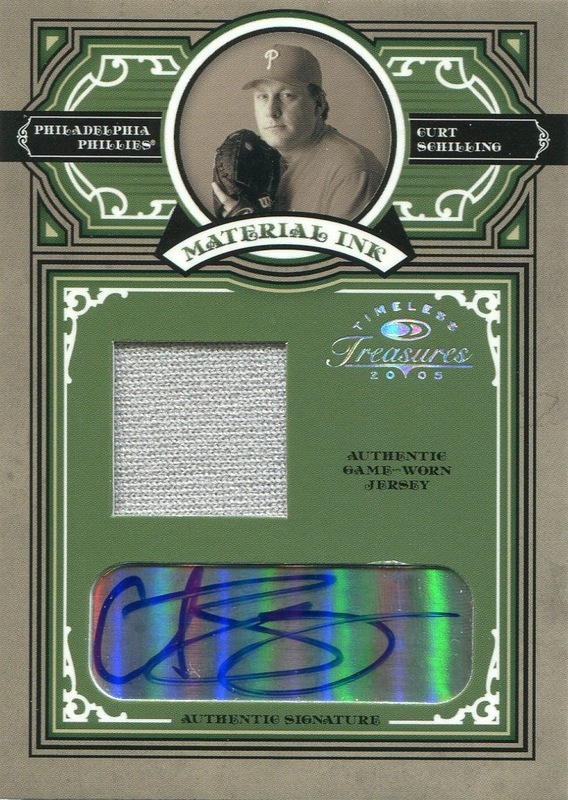 Then again, Donruss did this with a lot of players; notably, Donruss depicted Robin Roberts with Houston Astros on a couple autograph issues, and they issued a few different auto/memorabilia cards showing Steve Carlton with either the Chicago White Sox or San Francisco Giants. If nothing else, Donruss was equal opportunity in this regard. 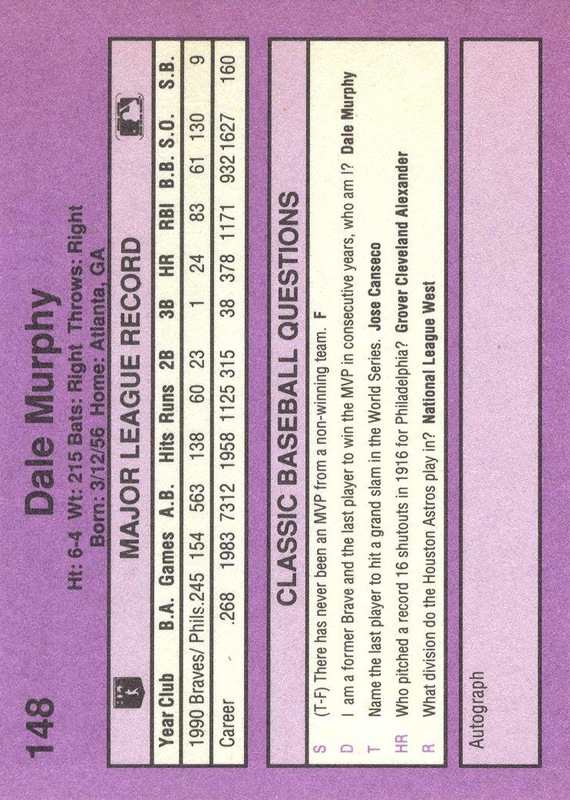 I have no idea whether Donruss issued an autograph card for Murphy showing him with the Colorado Rockies.